Bestselling author and master storyteller Tricia Stringer tackles troubled relationships, second chances and love old and new in this uplifting story of unlikely dining companions thrown together on a glamorous cruise. Readers of Liz Byrski, Monica McInerney and Rachael Johns will love this book. Clever, charming dressmaker Ketty Clift is embarking on her final cruise from Sydney before she must make serious changes in her life. Supported by the ship's all-powerful maître d' Carlos, she has a mission: transform the lives of those who join her at her dining table every evening. Not only can Ketty turn Cinderellas into princesses with her legendary style-eye, but she has a gift for bringing people together. But this trip is different. 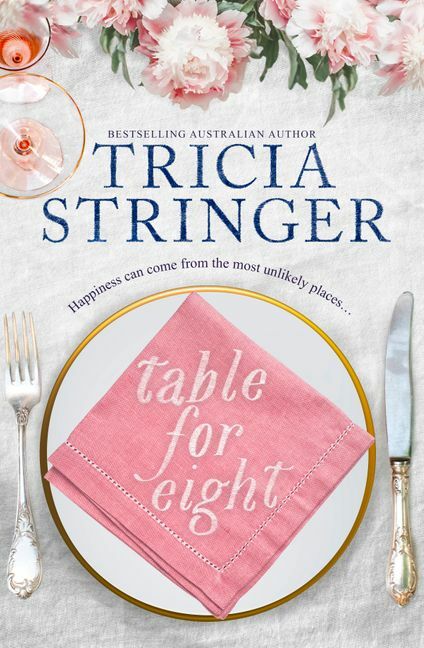 As the glamour and indulgence of the cruise takes hold, and the ship sails further away from Sydney towards the Pacific Islands, it becomes clear that her fellow travellers - a troubled family, a grieving widower and an angry divorcee determined to wreak revenge on her ex - are going to be harder work than usual. As Ketty tries to deal with her own problems, including the unexpected arrival on board of her long-lost love, Leo - the man who broke her heart - as well as troubling news from home, she begins to realise this might be the one cruise that will defeat her.